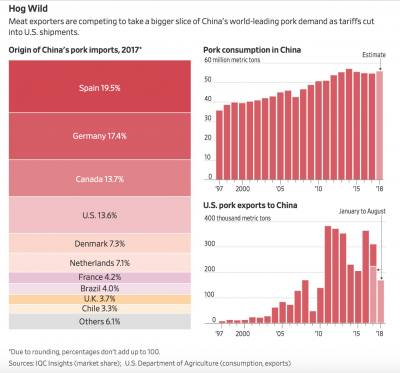 “America Struggles to Take Its Pigs to World’s Biggest Market,” by Jacob Bunge and Lucy Craymer. 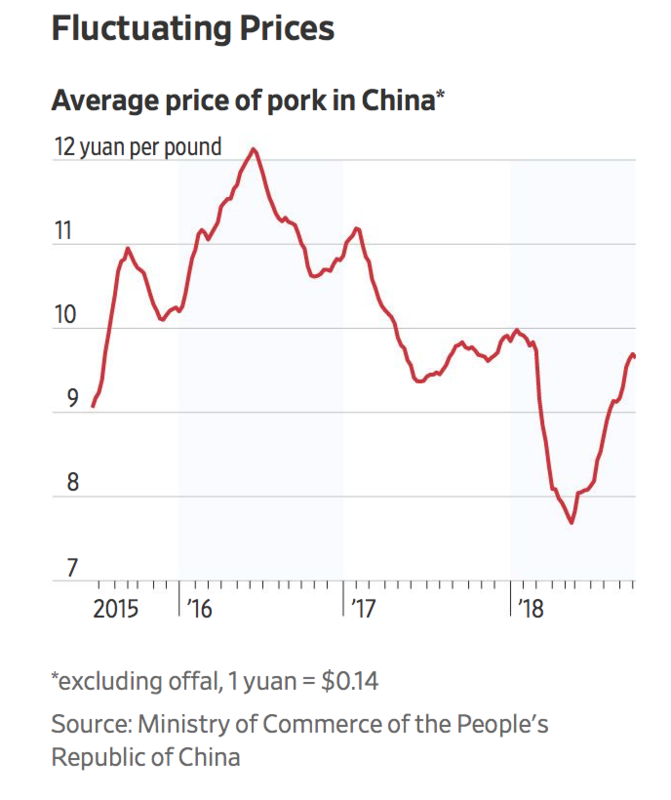 The Wall Street Journal Online (October 18, 2018). Source: U.S. Department of Agriculture. “America Struggles to Take Its Pigs to World’s Biggest Market,” by Jacob Bunge and Lucy Craymer. 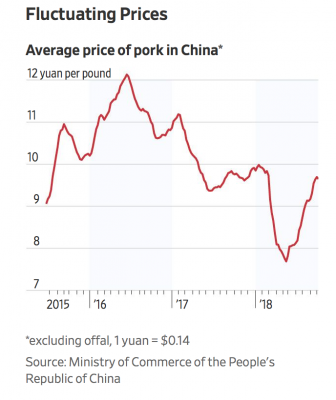 The Wall Street Journal Online (October 18, 2018). 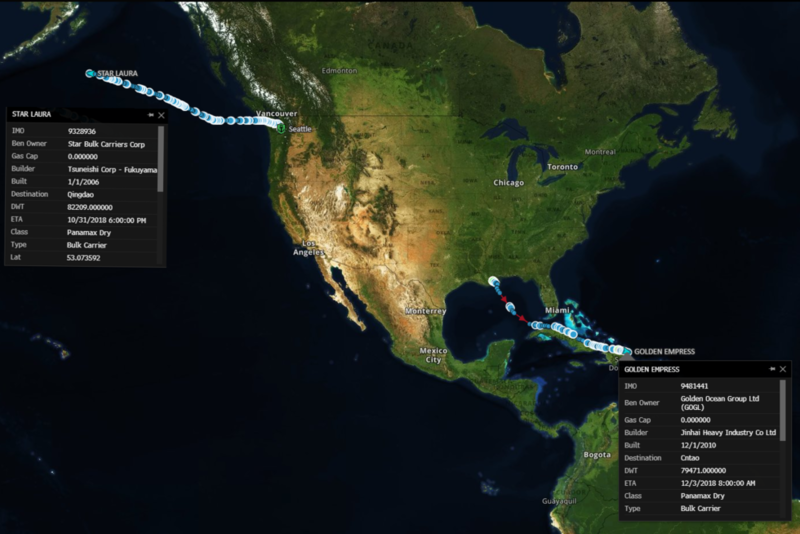 “Two Ships With U.S. Soybeans Head to China With Trade War Lingering,” by Shruti Singh, Megan Durisin, and Kevin Varley. 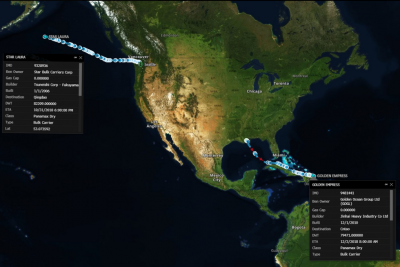 Bloomberg News (October 11, 2018). 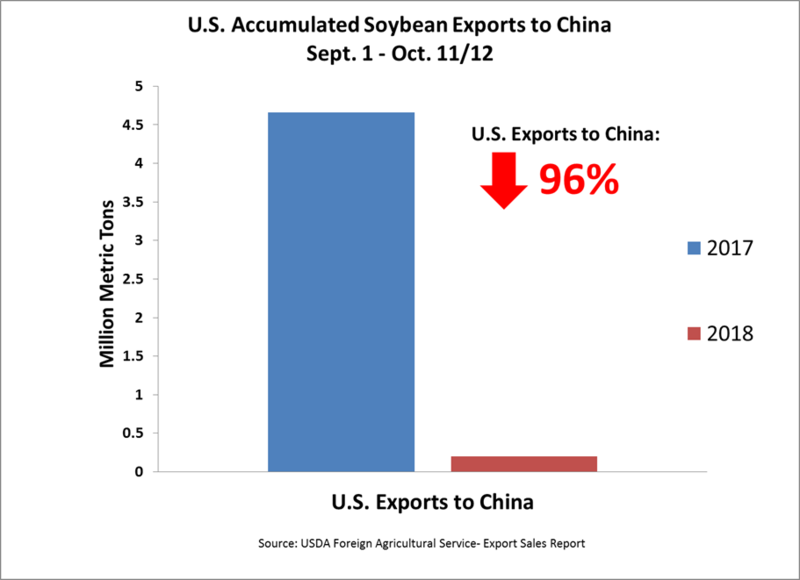 “Pace of Soybean Exports to China Down Nearly 96% in New Marketing Year Amid Administration’s Damaging Trade War,” news release from Sen. Heidi Heitkamp (D., N.D.) (October 18, 2018). 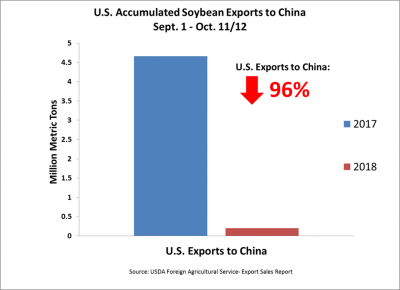 The chart shows the dramatic decline of the Chinese market for U.S. soybeans this year.